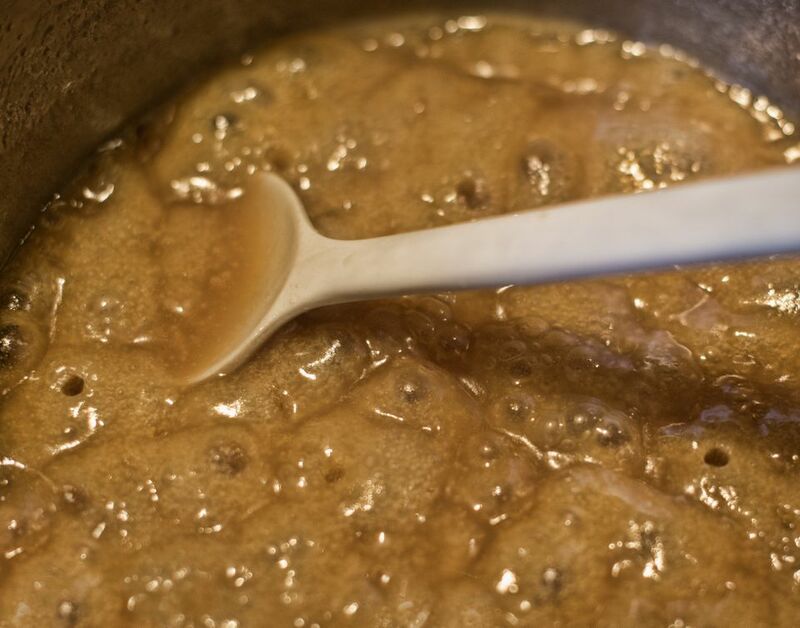 There are many techniques to learn if you're serious about making candy, and the temperature of the syrup is one of the most important aspects. Make sure you have a reliable thermometer before you start. See below for instructions for testing a candy thermometer for accuracy. Thread begins at 230 F The syrup will make a 2" thread when dropped from a spoon. Firm Ball begins at 244 F The ball will hold its shape and flatten only when pressed. Hard Ball begins at 250 F The ball is more rigid but still pliable. Soft Crack begins at 270 F A small amount of syrup is dropped into chilled water, it will separate into threads that will bend when picked up. Hard Crack begins at 300 F The syrup separates into threads that are hard and brittle. Between these temperatures the sugar will turn dark golden but will turn black at 350 F.
To test your thermometer for accuracy, put it in a pan of water over high heat. Bring the water up to a rolling, vigorous boil. Making sure the thermometer does not touch the side or bottom of the pan, leave it in the water for 5 minutes as it continues to boil. The thermometer should register 212 F or 100 C. If the thermometer is off by a few degrees, adjust your recipe accordingly. For instance, if it registers 210 F and you want to cook your syrup to the soft ball stage, or 235 F, cook until it reaches 233 F.